The VisWall™ 4K is a high resolution PowerWall display wall. 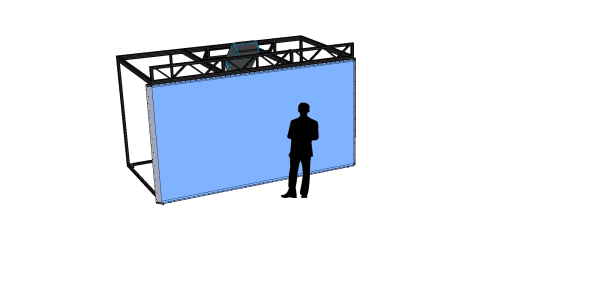 The VisWall 4K features a large rear-projection wall. 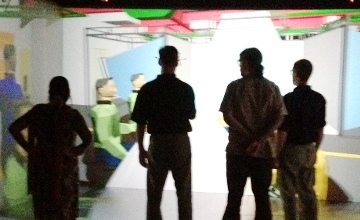 This system can be configured as a standalone display or as a turn-key immersive virtual reality system, complete with a tracking system and graphics workstation. See datasheet below. 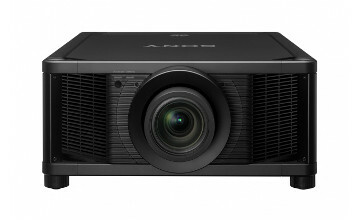 The VisWall 4K features projectors with a laser light source, providing stable color and eliminating lamp replacements. 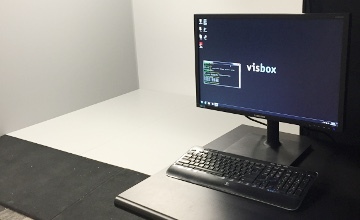 In addition to the standard VisWall models, Visbox Inc. is also available for custom hardware and software development for customers with special needs. Learn more about our capabilities on the Services page. The VisWall is ideal for small group collaboration. 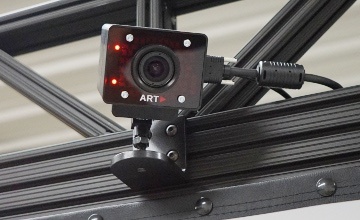 Robust, wireless optical tracking from A.R.T. Stable and color-accurate imagery, no lamp changes. Fully integrated, including sound system and control console. 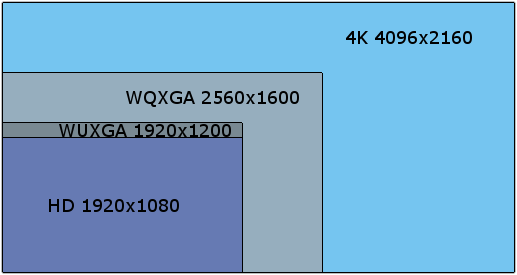 The VisWall 4K makes use of a large screen and a 4K resolution projector that is stereo 3D capable. 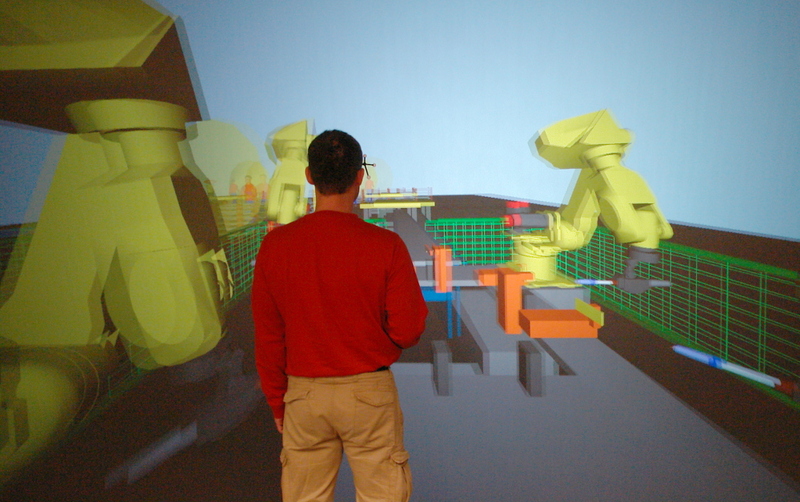 The result is a High Resolution Display that can run High Resolution Applications and Immersive 3D Applications. For custom VisWall configurations, see the VisWall T9, T25, custom section. – Installed and calibrated on-site by Visbox, Inc.
Other options are also available. Contact us for pre-sales support.